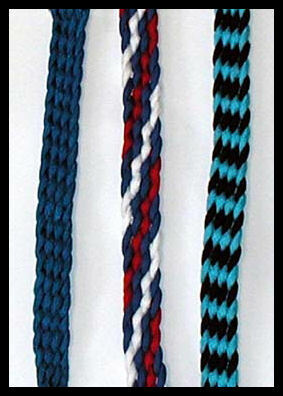 At left is the nylon cord color chart. 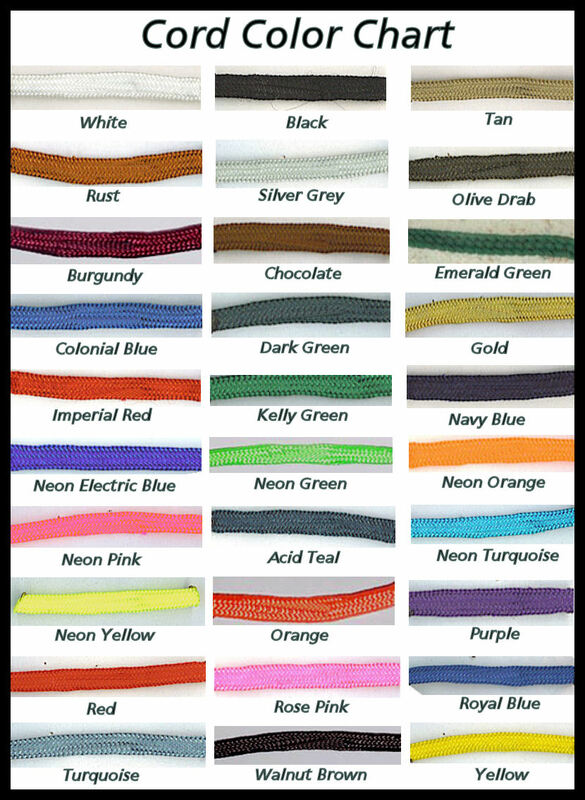 Please keep in mind that not all colors are accurately shown, but it will give you an idea of what's available. 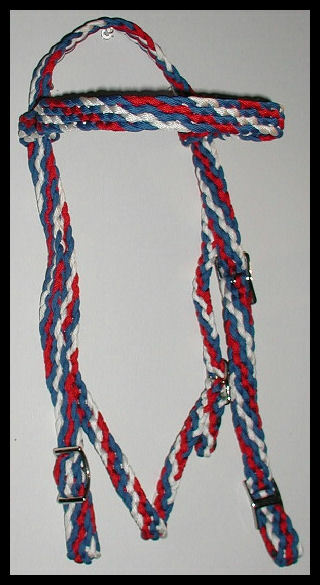 Welcome to my custom hand braided horse tack page. 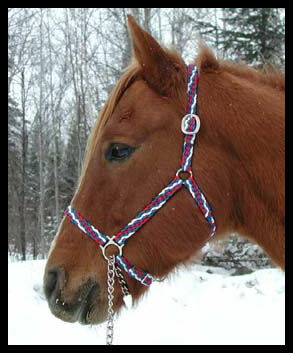 I have many items available including headstalls, halters, reins, and breast collars. 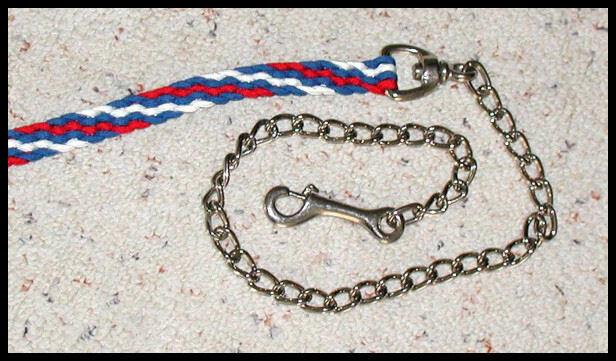 Made of durable nylon cord hand braided around nickel or brass hardware. 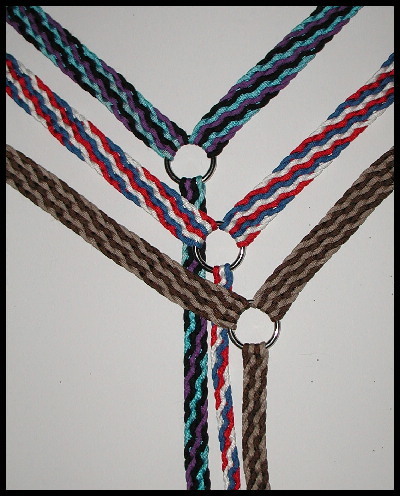 You can choose from 30 different colors to make solid or multi-tone horse tack. There are no set holes making every item fully adjustable. 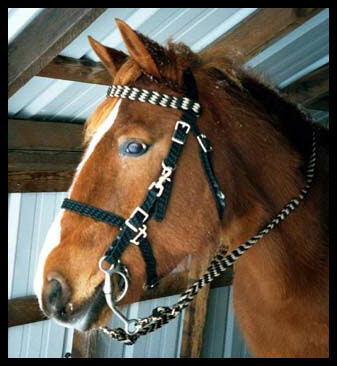 This page shows all breed horse tack, but I also have Arabian, Miniature, and Friesian (baroque style) show tack available. Check out those pages as well! Please contact me with any questions. 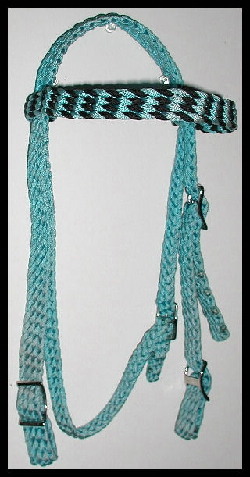 as on the bit straps. 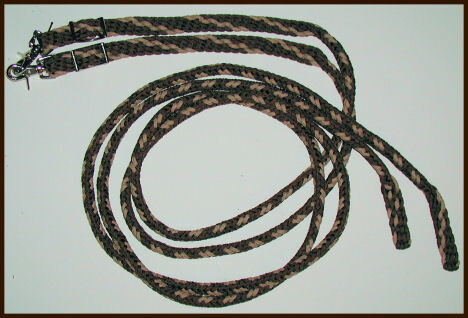 Easy on and off - great for at horse shows or out on the trail. Please email me for more info or to place an order!